This book combines multi-disciplinary ethnographic and theoretical approaches to examine piracy in Southeast Asia and the regional and international responses to this threat. During the piracy boom of the early to mid-2000s, the issue of piracy in Southeast Asia received substantial academic attention. Recent scholarship, however, has shifted the focus to Somali piracy and the resurgence of piracy in Southeast Asia has largely been neglected in the academic community. This volume seeks to remedy this gap in the current literature. The primary aim is to examine how piracy has evolved in Southeast Asia over the past ten years, to address why piracy has re-emerged as a security threat, to evaluate efforts at maintaining security in regional waters, and to offer an analysis of what might be expected in the next decade. The contributions are drawn from academics, policy makers, and military officers, covering a range of disciplines including international relations, socio-cultural anthropology, security studies, history, law, and Asian studies. 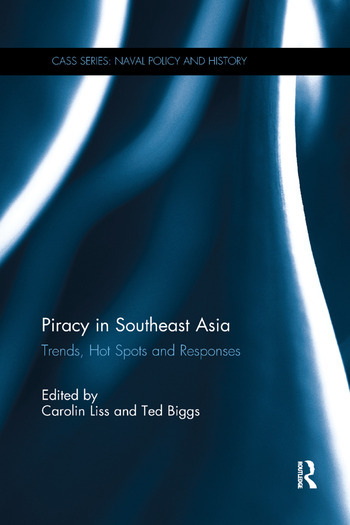 Taken together, the contributions in this volume provide a better understanding of contemporary piracy in Southeast Asia and suggest avenues to successfully combat piracy in this region. This book will be of much interest to students of maritime security, Asian politics, security studies, and international relations in general. Carolin Liss is Research Fellow at the Peace Research Institute Frankfurt, Germany, and is author of Oceans of Crime: Maritime Piracy and Transnational Security in Southeast Asia and Bangladesh (2011). Ted Biggs is a PhD candidate in socio-cultural anthropology at the University of California, Santa Cruz, USA.